Office Home and Student 2010 32/64bit EN 79G-02086	6.990,00 ден. Office Basic 2007 English Intl S55-02515	11.190,00 ден. Office Home and Business 2010 English PC Attach Key T5D-00835	11.799,00 ден. 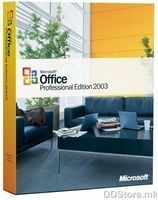 Office Home and Business 2010 32-bit/x64 English T5D-00361	12.690,00 ден.